The seasons turn and we’re once more on the threshold of autumn, with its Indian summer days, long afternoons of amber light, the air full of seed puffs, spinning like tiny gods on their many white arms. Scorpio descending, Orion ascending, and that moment yet to come when the light and dark are held in balance. The end of August arrives, bringing some of us back from travels; some have already started a new semester of classes; some are just now launching themselves on journeys, wisely heading out as the summer tourists return; some are keeping an eye on the vast plumes of smoke and acres of fire burning in the sacred ground of Yosemite; some are celebrating the end of summer at Burning Man in Nevada. In Sonoma County, autumn has its own traditions. 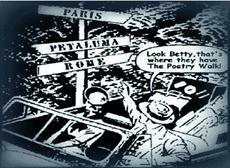 For its eighteenth year, the Petaluma Poetry Walk returns, Sunday the 15th, followed closely on September 21st with Sonoma County Book Festival in a new location—Santa Rosa Junior College’s Bertolini Student Center and Quad, beside Doyle Library. 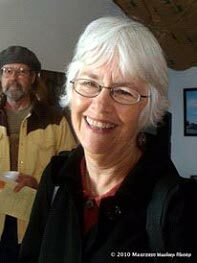 On Sunday, September 22, 1:00-5:00 p.m. Haiku Poets of Northern California gather for their annual Two Autumns Reading. Katherine Hastings opens yet another amazing program at WordTemple, both live readings and on-air interviews. In their memories, I offer a poem by each. 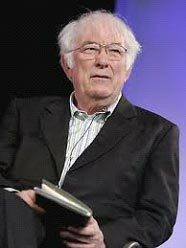 The first is “Postscript,” written by Seamus Heaney. I first read it standing on the Flaggy Shore in West Ireland where the poem is set. It’s from his 1996 collection The Spirit Level. The second is “Voice,” by Susan Herron Sibbet, the opening poem from her 2004 collection No Easy Light. 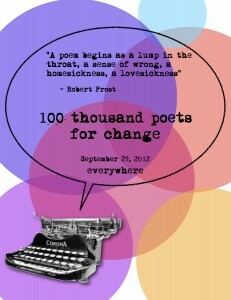 For a pdf version of most of the pages on the Sonoma County Literary Update site (for September 2013), click here.